Salinity is a constraint limiting plant growth and productivity of crops throughout the world. Fourteen canola genotypes were subjected to three salinity levels 0, 150, and 350 mM Salinity effect was evaluated on the basis of biomass yield reduction and physiological attributes. Aggravated salinity stress caused significant effect in all measured parameters. Salinity stress increase reduced fresh and dry masses of shoots and roots, Chlorophyll content, RWC and K+ content of shoots and roots. Proline content, shoot and root Na+ content and electrolyte leakage were increased by salinity stress. A dendrogram was constructed by WARD based on fresh and dry masses of shoots and roots and physiological traits where all 14 canola genotypes were grouped into 4 clusters proving diversity among them. The 2-dimensional principal component analysis (PCA) has also confirmed the output of categorization from cluster analysis. Overall, the acquired results indicated that, among all 14 canola genotypes, salinity stressed canola genotype Safi-7 was the best salt-tolerant canola genotype considering biomass production and physiological growth and produced the highest amount of fresh and dry weight and Zafar was the most salt-sensitive genotype. Wheat genotypes were evaluated for their salt tolerance under water culture at early seedling stage, gravel culture at vegetative & maturity stage and under natural saline field condition at maturity. Ten newly developed wheat genotypes were included along with local check (LU-26s). The tested wheat genotypes were found more sensitive at vegetative and maturity than at early seedling stage. At early seedling stage 4 genotypes (NIA-AS-14-2, NIA-AS-14-5, NIA-AS-14-10 and LU-26s) fell into the tolerant category (i.e., STI > 50%) and one (NIA-AS-14-1) as sensitive (S) (STI < 30%). The response of wheat genotypes was bit different under gravel culture at maturity stage, where the genotypes LU-26s, NIA-AS-14-2 and NIA-AS-14-8 performed well. The genotype LU-26s, NIA-AS-14-1, NIA-AS-14-2, NIA-AS-14-4, NIA-AS-14-7 and NIA-AS-14-8, showed better performance in all the parameters and categorized as tolerant (T). Least performance under gravel culture was observed by NIA-AS-14-6. The results with respect to the performance under natural saline field conditions showed that the genotypes NIA-AS-14-1, NIA-AS-14-4, NIA-AS-14-9 and NIA-AS-14-10, along with local check (LU-26s), had better tolerance at medium to highly saline patches. The genotypes were also evaluated for their physiological performance at early seedling and vegetative (at the time of flowering) stage. The physiological traits studied were solute contents (organic and inorganic). Tolerant genotypes showed dual types of behavior in case of Na+ accumulation (i.e. NIA-AS-14-1, NIA-AS-14-2 and LU-26s (local check) showed low Na+ accumulating pattern, where as NIA-AS-14-8 and NIA-AS-14-9 showed higher accumulating trend under saline environments. Accumulation of proline was also low in low Na+ accumulating genotypes. The overall investigations showed that screening at early growth stage (2–4 weeks) was more convenient than at vegetative or at maturity, but its reliability might be questioned as most of the genotypes were tolerant at early seedling stage but showed sensitivity during vegetative and at maturity during grain filling stage. Therefore, it necessitates that selection of salt tolerant genotypes under different environments before recommending a genotype as tolerant. In the present investigation three genotypes (NIA-AS-14-2 NIA-AS-14-4 and NIA-AS-14-10) and a local check LU-26s were indentified to have the potential to perform economically under medium to high saline soils. Temperature is increasing continually which limited the production of wheat. Six spring wheat genotypes were evaluated on the basis of relative performance, heat susceptible indices (HSI) and their association with the grain yield in normal and heat stress conditions at University of Agriculture, Faisalabad, Pakistan (31.43 °N, 73.06 °E) to identify thermotolerant genotypes against future climatic change. Data were recorded for phenological, physiological and morphological traits which revealed that genotypes Aas-11 and SH-95 were tolerant to heat on the basis of their relative performance and HSI. Furthermore selection of genotypes for early heading and delay maturity is suggested to develop high yielding wheat cultivars in Pakistan under heat stress. Correlation analysis revealed positive association of yield with days to maturity, days to heading, thousand grain weight, tillers per plant, stomata frequency, leaf venation and stomata size under heat stress. Direct selection for these attributes might be criteria against heat stress. Whereas grain yield was negatively correlated with HSI indicated the tolerance of genotypes under heat stress. Selection for thousand grain weight, number of seeds, stomata frequency, biomass and grain yield under heat stress would result in decreased susceptibility of genotypes to heat stress. Eichhornia crassipes (Mart.) Solms is a floating hydrophyte that dominates metal-polluted wetlands such as industrial effluents. 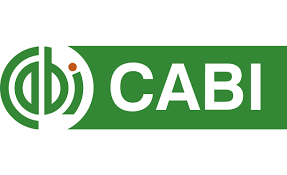 Keeping in view its capability to hyper-accumulate metal ions, the effect of cadmium stress on structural and functional features of photosynthesis was investigated to assess growth response under metal toxicity. Plants were randomly collected from polluted areas of Sheikhupura-Lahore road and multiplied for about one year at research sites of old Botanic Garden, University of Agriculture, Faisalabad. Plants were thereafter treated with cadmium stress and levels of cadmium were 0 (control), 50, 100 and 150 mg L-1 in aqueous solution. E. crassipes reduced their biomass, and photosynthetic features like chlorophyll pigments, net CO2 assimilation rate, sub-stomatal CO2 concentration and stomatal conductance under cadmium toxicity. Water use efficiency also decreases significantly in response to metal stress, but this species is a floating hydrophyte. Water is frequently available to this species and any decrease in water use efficiency may not affect growth and development. Leaf features i.e. leaf thickness, chlorenchymatous and sclerchymatous area, aerenchymatous area, vascular bundle region (xylem and phloem area) and stomatal area were reduced in response to Cd treatment. Increase in stomatal density on adaxial and abaxial leaf surfaces and bundle sheath cell area under cadmium stress indicate metal tolerance in plants. It is concluded from the present investigations that E. crassipes accumulates cadmium and can be utilized for phytoremediation in polluted water. This study is aimed at investigating the effects of silver nitrate (AgNO3) during various stages of somatic embryogenesis in Medjool palm. Silver nitrate is a strong inhibitor of ethylene, which by reducing the negative effects of ethylene, confers growth and development on tissue culture plants in laboratory. In the present study, the effects of different concentrations of AgNO­3 and 2iP on embryogenic callus production, the number of embryos, the length of embryos and the germination of somatic embryos were scrutinized. Moreover, the length of the plantlet, rooting percentage, length of root, and the quality of plantlets were examined under effect of different concentrations of AgNO3. The media supplemented with 4 mg/l of AgNO3 induced the highest number of embryogenic callus and the greatest number of embryos. While, the media contained 0.5 mg/l 2iP resulted in the highest length of embryos. Furthermore, a media including 8 mg/l of silver nitrate has a very positive effect on the germination of somatic embryos. In order to prolonging the plantlets and root length, AgNO­3 is an invigorating treatment to be utilized, but it did not have a positive effect on rooting of the plantlets. The genetic stability of tissue culture plants derived from somatic embryogenesis, examined and screened by 16 primer pairs of SSR marker. As a result, it had been revealed that somatic embryogenesis method and the protocol used in this study were the suitable and safe method for proliferation of Medjool cultivar in date palm, as no differences were observed among In vitro grown plants and the mother plant. Aerobic rice system can be an alternate way to cultivate rice in less water conditions. However, weeds are a major constrain in aerobic rice field which decline its success. Weeds are being controlled by herbicides in aerobic rice but not all herbicides are effective in controlling various types of weeds. In this study, two pre-emergent (pretilachor and pendimethalin) and two post-emergent (cyhalofop-butyl and bispyribac-sodium) herbicides were evaluated for effective control of the bioassay species, Eleusine indica. It was found that pendimethalin at a higher application rate of 1.0 kg ai ha-1 strongly inhibit the emergence and shoot growth of E. indica by >75% with negligible effect on the rice growth with stimulation on the leaf greenness. Conversely, pretilachor, cyhalofop-butyl and bispyribac-sodium gave moderate inhibition (55-60% inhibition) on weed emergence and shoot growth at higher application rates of 0.44, 0.1 and 0.035 kg ai ha-1, respectively. Significant inhibitory effects on rice root growth were noticed at highest application rates of pretilachor, cyhalofop-butyl and bispyribac-sodium (40-50% inhibition) across the growth stage of rice seedlings. Great reduction in shoot height, shoot fresh weight, and greenness of rice plant also was evident at 0 DAS across herbicides rates. However, with increasing growth stages, the rice plant became less susceptible to the applied treatments. The finding suggested that pendimethalin at 1.0 kg ai ha-1 was the most suitable application rate for inhibiting E. indica without injuring the rice seedlings. This research was designed for the phyto-monitoring of Pb2+ pollution emitted from automobiles running along Motorway (M-2) and G.T. road and its effects on photosynthetic attributes and water relations of selected plant species growing along these roads. The data were collected from specified sites at different time intervals during all four seasons of the year. The results revealed significantly (p<0.05) higher Pb2+ content plant leaves growing in the vicinity of roadside (0 m distance) as compared to plant leaves collected from 50 m distance (Control) along both roads (M-2 and G.T. road). The leaves of Nerium oleander (2.45 mg kg-1 dry wt.) collected from M-2 trapped the higher amount of Pb2+ (p<0.001) at Kalar Kahar in Summer and Calotropis procera (2.78 mg kg-1 dry wt.) had the highest (p<0.05) Pb2+ deposition at Bahyria Town during summer. Photosynthetic rate, transpiration rate and stomatal conductance decreased significantly (p<0.01) in plants along roadsides; whereas, inconsistent results in water use efficiency were perceived in plants at 0 m distance as compared to those collected from 50 m distance. These outcomes are important to identify the existence of roadside vehicular pollutants on plants and to its ecological hazards. A population of Chromosomal Segment Substitution Lines (CSSLs) derived from an Indica nitrogen deficiency tolerant Xieqingzao B (XQZB) and an Indica nitrogen deficiency susceptible Zhonghui9308 (ZH9308) was studied. A genetic linkage map was constructed by employing 87 SSR and 33 In Del markers to analyze quantitative trait loci (QTLs) at seedling stage in rice under normal (NN), low (LN) and relative nitrogen (LN/NN) levels. A sum of 9 QTLs was detected in 6 regions on 6 chromosomes, with each QTL explaining 10.58%-27.27% of phenotypic variation. The QTLs controlling shoot dry weight and total dry weight were simultaneously located at RM24718 interval on chromosome 9 under low N conditions. QTLs responsible for root dry weight under LN situations were detected near the marker InD90 on chromosome 6, which explained 16.84% of the phenotypic variation and had a high value for its additive effect (6.14). For future genetic improvement programs, the root dry weight attribute is considered distinctly, which helps to improve, N-deficiency tolerance. This study also providesinsights into fine mapping, gene cloning, and marker assisted selection for future research. Proper identification of medicinally important plant species is useful for their efficient utilization as food and medicine. 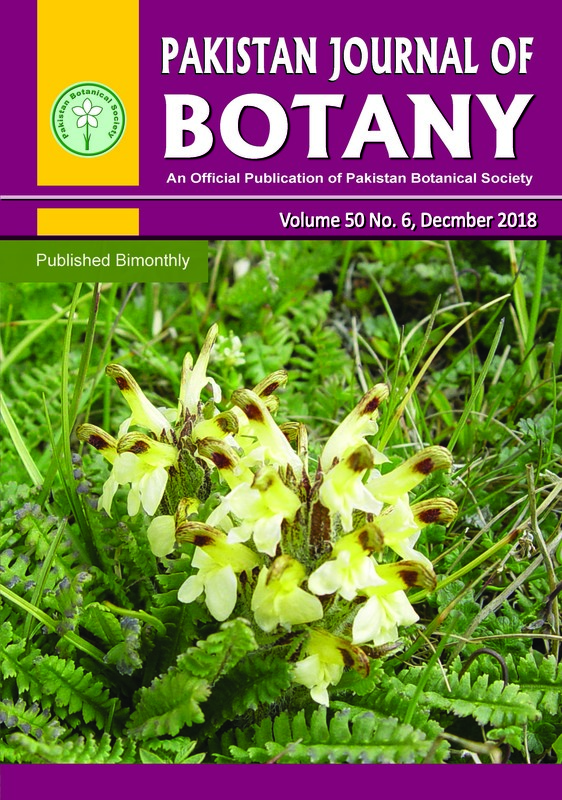 Seventy eight species belonging to different plant families were characterized through chloroplast DNA gene sequences of rbcL, matK and intergenic spacer region psbA-trnH. These species were used to search possible relationships through phylogenetic analysis. The phylogenetic tree based on matK (~800 bp), rbcL (~1400 bp) and psbA-trnH (~500 bp) sequences showed 6, 8 and 4 diverged groups, respectively. Our analysis suggests that Ajuga bracteosa, Salvia aegyptiaca, Bupleurum falcatum and Acorus calamus are highly diverged from rest of seventy four different species. 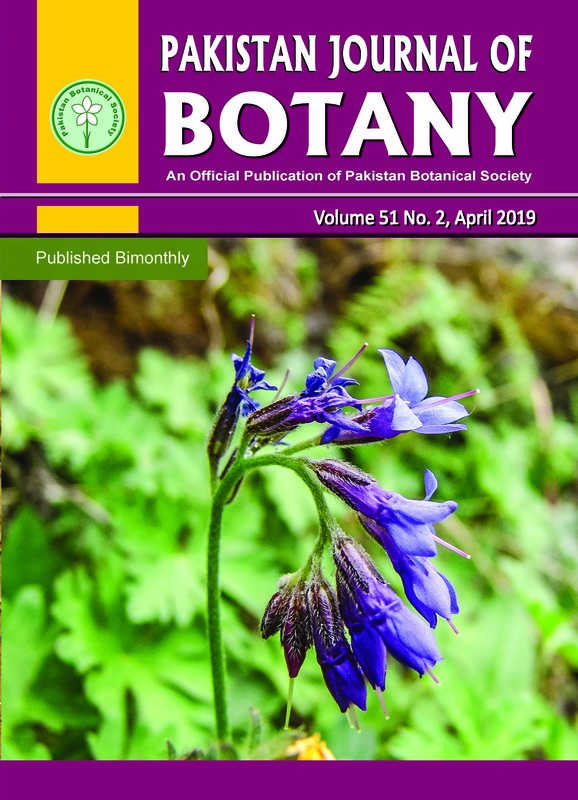 Based on the results of medicinal plants from Pakistan, we validate that matK and rbcL are more useful as barcode for studying large population of plant species. The present study is useful for authentic identification of new plant species and clearly shows high degree of intra-specific and inter-specific evolutionary relation among all tested species from different medicinally important plant families. Our findings suggest that proper identification of some of the plant species is still challenging and these unique species need further studies. 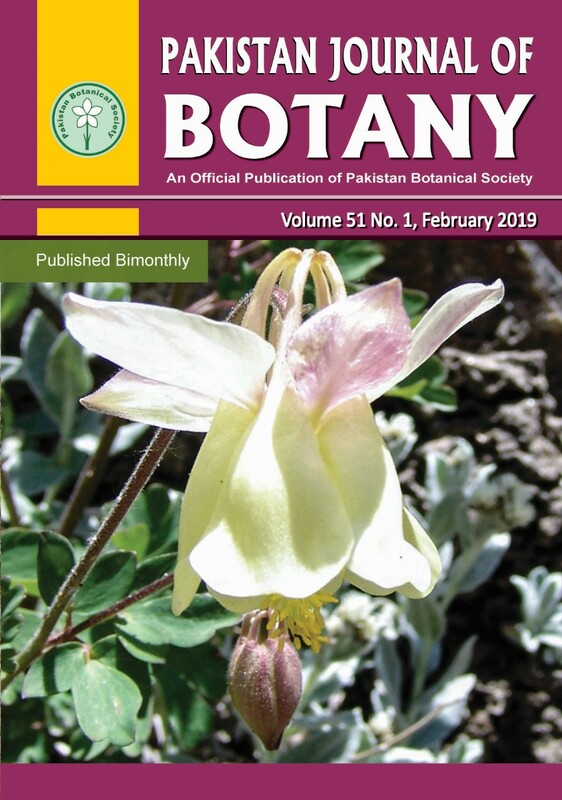 The present study can serve as a model to identify and differentiate new medicinal plant species from Pakistan and neighboring countries through similar methods. The middle mountain of Nepal Himalaya is experiencing higher rate of temperature rise. A dendrochronological study was carried out to verify and record the impact of this warming by using the tree-cores of Pinus roxburghii Sarg. from Bicharichautara village of Syangja in Western Nepal representing a middle mountain of Himalaya with sub-tropical climatic zone. For this total 50 cores of P. roxburghii were collected from 30 trees. The standard methodology was used for sample preparation and analysis. A 165-year long chronology spanning from 1851 to 2015 AD was constructed from the cores. The result showed that the tree ring chronology of P. roxburghii in study site was positively correlated with pre-monsoon (March and April) rainfall and negatively correlated with the temperature of November of previous growth year and February, March and April of present growth year. However, the analysis of climate response to temperature revealed that there was a negative response of chronology for pre-monsoon season especially for monthly average temperature of April of current year whereas the response with rainfall was positive for pre-monsoon season, but they were statistically insignificant. From this study, it was concluded that the growth of P. roxburghii was limited by the pre-monsoon temperature particularly by April temperature. This conifer (P. roxburghii) has been recommended as a good choice of tree for the past climate study. The main problem with this species is that it contains several false rings and sometimes there is absent ring as well. To overcome such problems, a detailed study encompassing anatomical features to identify and locate false and missing rings is suggested. Lilium is a genus with 110 species globally. Among them, 55 species are found only in China, making this region a significant distribution zone. The Lilium species native to Midwestern China, including seven Provinces: Gansu, Shaanxi, Sichuan, Hubei, Henan, Chongqing and Yunnan, have been investigated in this study for their species categorization and morphological characterization. 16 species and 3 variants were involved in the survey: L. lancifolium, L. leucanthum, L. brownii, L. duchartrei, L. pumilum, L. davidii, L. fargesii, L. regale, L. tenuifolium, L. papilliferum, L. sargentiae, L. lophophorum, L. sulphureum, L. nepalense, L. amoenum, L. taliense, L. brownii var. viridulum, L. leucanthum var. centifolium and L. bakerianum var. delavayi. Evaluation of their botanical characteristics was then conducted. All the collected germplasm of Lilium was investigated by using the analytic hierarchy process (AHP) established on 15 indicators regarding ornamental value, exploitation potential and ecological adaptability. The result showed that L. sulphureum performed the highest ornamental value. L. regale performed the highest exploitation potential. L. lancifolium performed the highest ecological adaptability. L. regale was found as the most suitable species for sustained utilization because of its utmost AHP value. Further, L. sulphureum, L. lancifolium, L. sargentiae and L. leucanthum exhibited outstanding features for exploitation compared to the other tested species. Effect of different pretreatments on breaking seed dormancy and In vitro germination in Jatropha curcas L.
The simple sequence repeat markers were used to investigate the population genetic diversity and structure of 212 germplasm samples from 14 apricot (Prunus armeniaca) populations in the western of Tien-Shan Mountains, Sinkiang, China. The relatively high expected heterozygosity and Shannon's diversity index indicated the apricot populations maintained a high level of genetic diversity (He = 0.6109, I = 1.2208), with the population in Tuergen ditch of Xinyuan County having the highest genetic diversity index. A high level of intra-population genetic differentiation (91.51%) and a lower level of inter-population genetic differentiation were occurred, as well as a moderate but steady inter-population gene flow (Nm = 2.3735). The self-incompatible pattern, wide distribution, and long-distance pollen transmission via insects and gale are the main factors underlying the genetic variation structure. The UPGMA cluster analysis and genetic structure analysis showed that apricot germplasm could be divided into two or four groups, which was basically consistent with the geographic distribution pattern. The inter-population genetic distance and geographic distance showed a significant correlation (r = 0.2658, p<0.05). Rangelands of Pakistan have poor vegetation cover mainly due to very less emergence rate and poor growth behaviour of rangeland grasses. In this study Osmopriming techniques for improving emergence, growth behavior and biomass production of highly nutritive and palatable rangeland grasses were tested. For this, two rangeland grasses i.e., Cenchrus ciliaris and Panicumantidotale were selected and osmoprimed for 24 h with PEG-8000 solutions of varying osmotic potentials (­0.2, -0.6, -1.2 and -2.4 MPa). It was observed that Cenchrus ciliaris and Panicum antidotale seeds emergence was improved when primed at -0.6 and -1.2 osmotic potential PEG-8000 solutions. Maximum shoot length of C. ciliaris was found in osmoprimed seeds (-1.2 MPa) while root length was observed when the seeds were subjected with PEG-8000 (-2.4 MPa) solution while maximum root length of P. antidotale was recorded when seeds were primed with PEG-8000 (-1.2 MPa) solution. C. ciliaris and P. antidotale plants exhibited maximum dry weight when primed with PEG-8000 solutions (-1.2 and -0.6 MPa, respectively). It can be safely concluded from findings that the rate of emergence, final emergence percentage and biomass production of these two rangeland grasses can be improved by subjecting their seeds with PEG-8000 solutions at low osmotic potential ranging between -0.6 and -1.2. The findings of this study will help in improving the vegetation cover of rangelands in Pakistan. A total of 22 genotypes, including 18 chickpeas varieties registered by Private Sector and Agricultural Research Institutes and 4 domestic populations were studied under Central Anatolian ecological conditions, in 2013 and 2014. The aim of this study was to determine the effects of the genotypes affecting the yield and the agronomic characters, and the direct and indirect effects of these characters on yield in these genotypes. Differences were determined by applying variance analysis of the data. Means were grouped by performing the LSD test. In addition, a correlation analysis, in which the relations between the examined characters the first pod height, number of pods per plant, number of seeds per plant, 100-seed weight, seed yield per plant, biological yield, yield, protein ratio, water absorption capacity, swelling capacity, water absorption index and swelling index, and path analysis, in which the direct and indirect effects plant height, the first pod height, number of pods per plant, number of seeds per plant, seed yield per plant, 100-seed weight and biological yield were applied. In this study, Hisar, Cagatay, Azkan, ILC-483 chickpea cultivars and Hacıbektas-2 local chickpea populations were observed for yield and the characters affecting yield. Correlation analysis showed that the positive and significant relationships were determined between the number of pods per plant and the number of seeds per plant (r=0.934**), 100-seed weight (r=0.826**), the number of seeds per plant and yield per plant (r=0.908**), and seed yield per plant and 100-seed weight (0.614**), yield (0.602**). Path analysis detected that the direct effect of plant height on the yields was negative with -0.124, whereas the direct effects of the first pod height, the number of pods per plant and the number of seeds per plant were found as positive with 0.096, 0.079 and 0.841, respectively. A 2-year field trial was carried out at the Agricultural Research Station of Ahmad Wala, district Karak of Khyber Pakhtunkhwa province of Pakistan during the chickpea growing seasons of 2014 and 2015 in order to investigate numerous weed control practices on the yield and yield components of chickpea crop. Nine treatments were used in the experiment viz; weedy check, hand weeding, the herbicides Stomp 330 EC, Puma Super 75 EW, Dual Gold 960 EC, Topik 15 WP, Isoproturon 500 EW and water extracts of Parthenium and Eucalyptus. The year effect was found significant after combined analysis of the data over the years. Similarly, all the treatments significantly affected weed density m-2, number of branches plant-1, number of pods plant-1, number of seeds pod-1, and the seed yield of chickpea (kg ha-1) during both the years. With the application of Isoproturon 500 EW, a significantly lower weed density was recorded as compared to control plots in 2014 as well as in 2015. In contrary, a significantly highest chickpea seed yield was obtained in the plots of Isoproturon 500 EW in the two years study while the second best was the application of Eucalyptus extract that produced the second highest seed yield of chickpea in both the trials. In case of water extract, the Eucalyptus extract was superior to Parthenium extract in terms of weed control. It was concluded that Isoproturon 500 EW can be the desirable method for obtaining the optimum weed control and desirable seed yield of chickpea crop in the agro-ecological conditions of Karak, Pakistan. High-throughput phytochemical characterization of non-cannabinoid compounds of Cannabis plant and seed, from Pakistan. The herbs are the natural resources for the infinite phenolic compounds that are used in pharmaceutical industry. These herbs are of significant importance due to their beneficial usage for the human health. Here, we studied a common herbs Cannabis sativa, an important member of the family Cannabaceae for phytochemical characterization. The methanol extract of whole Cannabis plant and seed was analyzed for the identification of non-cannabinoid compounds through High Performance Liquid Chromatography (HPLC) technique, because the non-cannabinoid compounds have not been much studied in C. sativa. These compounds are very useful in different diseases, used in cosmetics and as antioxidant agent. HPLC analysis revealed the presence of a variety of non-cannabinoid compounds including Quercetin, Gallic acid, p-Coumaric acid, m-Coumaric acid, Caffeic acid, Cinnamic acid, Ferulic acid, Benzoic acid and Kampferol. Furthermore, Quercetin was observed with high concentration in whole plant sample, whereas high Gallic acid and absence of m-coumaric acid was noted in the Cannabis seed. It was also observed that plant samples were with higher concentration of cinnamic acid as compared to seed. The Caffeic acid, Benzoic acid and Ferulic acid were in low concentration in both Cannabis plant and seed samples. Kampferol is another important non-cannabinoid compound that was also quantified in both samples. This research will be providing a foundation for further molecular characterization of Cannabis plant and seed for their beneficial usage. Three locus (GS3, Chalk5 and Wx) controlling grain size, grain chalkiness and amylose content (AC) have been cloned and can be used to improve rice quality by molecular marker-assisted selection (MAS). At present, identification of the above-mentioned alleles need DNA sequencing or restriction enzyme digestion, which were laborious, time-consuming tasks. Developing functional markers harboring the advantage of rapid, simple and low cost will contribute to rice quality improvement by MAS. Tetra-primer ARMS-PCR technology is an economical method for single nucleotide polymorphisms (SNP) scoring, however, its utilization is limited due to low amplification efficiency and inaccuracy extension caused by distinct melting temperature (Tm) difference existing between four primers in one PCR system. In this paper, we developed a set of functional markers using tetra-primer ARMS-PCR technology, and we also put forward corresponding solving schemes on low amplification efficiency and inaccuracy extension caused by Tm difference. The results showed that five markers were developed through adjusting the location of deliberate mismatch bases introduced, three markers (GS3ac-ARMS, Chalk5tc-ARMS, Waxygt-ARMS) could identify different alleles for each loci holding the advantage of rapid, simple and low cost. Further, we analyzed the alleles distribution on rice varieties derived from Northeast China. All of these works could provide foundations for rice quality improvement utilizing the suitable genes (QTLs) by MAS. In this research, the genetic variation of six Iranian garden cress (Lepidium sativum) accessions was studied by 21 agro-morphological traits. A significant variation was observed in 6 out of 21 traits including shoot dry weight, petiole length, shoot height in flowering stage, petal length, and sepal length and width. The minimum shoot dry weight was in ‘Ghayen’, while, ‘Isfahan II’, ‘Malayer’ and ‘Varamin’ accessions showed higher weight than average. The shoot dry weight ranged between 0.5-4.3 g. Days to 75% flowering varied from 53 days (Isfahan I and Isfahan II) to 74 days (Ghayen), that the latter would be possible as a source for selection of late maturing types. The principal component analysis (PCA) and cluster analysis were used to identify the patterns of variation and detect the relationships among accessions. 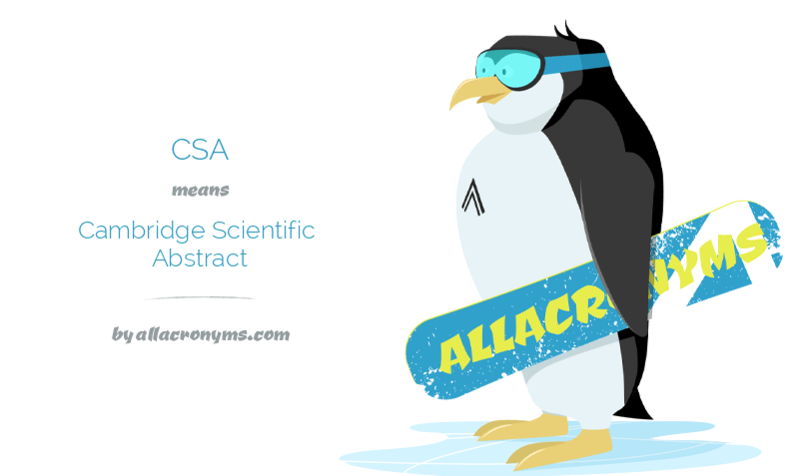 The first two PCAs could explain 92.9% of the total variance. Petal length and sepal length and width had the highest positive correlation in PCA1. The PCA2 included shoot dry weight, petiole length and shoot height in flowering stage. In cluster analysis, accessions classified in three major clusters. No relationships were found between genetic variation and geographical origin. In this study, the headspace-solid phase microextraction-gas chromatography/mass spectrometry (HS-SPME-GC/MS) was used to determine the type and content of aroma in Vidal grapes. A quantitative fluorescence measurement was performed to determine the differential expression of Amino Acid Decarboxylase (AADC). By conducting five different load treatments (fruit weight per 667 m2: 750, 1,000, 1,250, 1,500, and over 1,750 kg), we found that the main components of Vidal grapes were alcohols, esters, alkanes, aldehydes, phenols, ketones, and ethers. The relative levels of alcohols, esters, alkanes, and phenols were 25, 27, 18, and 14%, respectively. The relationship between the dynamic content of the characteristic aroma component 2-phenylethanol and the expression of AADC enzyme was explored. The results showed that for a small load, the relative expression levels of 2-phenylethanol-regulating AADC enzyme were high and low in the early and late stages of growth, respectively. For a large load, the content of 2-phenylethanol was low, while the relative expression levels of 2-phenylethanol-regulating AADC enzyme were low and high in the early and late stages of growth, respectively. In the early stage, the positive regulation was significant, and in the late stage, the relative expression of AADC was increased rapidly, which in turn, increased the positive regulation. It was recommended that the suitable yield for Vidal grape during peak fruiting period was 1,000~1,500 kg per 667 m2. This study provides the scientific basis for the control of fruit aroma and can be used as a reference for load adjustment in the production of wine grape during peak fruiting period. In vitro propagation of threatened Brastagi citrus variety Brastepu (Citrus nobilis Brastepu) through shoot tip subculture was carried out to obtain good quality citrus seedling free from CVPD. Propagation of citrus plants via cutting bud technique was firstly conducted to rescue rare plant as well as to provide adequate shoot tip explants for In vitro propagation. Shoot tip explants of Citrus nobilis Brastepu were cultured in MS basal media supplemented with combinations concentrations (0-2 mg/L) of 2,4 dichlorophenoxyacetic acid (2,4-D) and (0-3 mg/L) of benzyl-amino purine (BAP) followed by subculture techniques. The results showed that subculture frequency and combination variations of growth stimulator become key role to success of citrus growth development. The best culture was obtained in D1B2 treatment of the second subculture, that was with supplementation of 0.5 mg/L 2,4-D and 1.0 mg/L BAP, resulted in the average weight of callus (2.30 g), number of embryosomatic (22.30), and the number of shoot (8.60) respectively. Subculture technique was chosen to provide nutrients for long period of incubation time. Subculture technique has improved the quality of citrus culture and be able to produced good quality citrus plantlets. Citrus culture developed normal plant in which the stem, leaves, and roots were generated. The plantlets of Citrus nobilis Brastepu were all free from CVPD. The method was efficient for mass production of Citrus nobilis Brastepu seedling to conserve threatened local Brastagi citrus. Ajuziogu, G.C., Ejeagba, P.O., Nwafor, F.I., Ayogu, V.O., Nweze, A.E., Asuzu, C.U. and Egonu, S.N. Leaf epidermal preparations of seven species within the Sterculiaceae and Verbenaceae were examined with light microscope to determine stomata patterns and other features of taxonomic importance. Impression technique was conducted on freshly harvested leaves to reveal important foliar epidermal characters. The stomata size, index and cell wall thickness were measured following standard procedures. Stomata were only seen in the abaxial surface of all the species, with four types observed; anomocytic, paracytic, diacytic and anisocytic. Anomocytic type was recorded for Duranta erecta, Tectonia grandis and Vitex doniana while Gmelina arborea had diacytic type. Sterculiaceae species showed anomocytic in Cola gigantea, anisocytic in Theobroma cacao and paracytic in Cola rostrata. Stomata sizes, numbers and epidermal cells varied across the families. Stomatal size, index and wall thickness varied greatly within the species. Variations and similarities observed in the stomatal features provide evidence of the genetic and evolutionary relationships and therefore are of taxonomic importance. The genus Carthamus L. belongs to Asteraceae family, has approximately 25 taxa with worldwide. The naturally distributed species belonging to this genus in Anatolia are as follows: Carthamus dentatus (Forssk.) Vahl., C. glaucus M. Bieb., C. lanatus L., C. tenuis (Boiss. & Blanche) Bornm. And C. persicus Desf. ex Wild. And C. tinctorius L. (safflower). Carthamus tinctorius is the cultivated species. In the present study, the seeds of C. dentatus were collected from 31 localities of Turkey, C. lanatus from 32 localities, C. persicus from 3 localities, C. glaucus from 8 localities, C. tenuis from 3 localities. Seeds were germinated in the cabins and transferred to viols for obtaining seedlings and then the seedlings were transferred to the field. Data on various morphological traits such as rosette period, days to flowering and maturity, plant height (cm), branches per plant and 1000 seed weight (g) were recorded. There were substantial variations for the investigated morphological characteristics. The analysis of variance revealed that the differences among 77 accessions were significant for all the studied characters. Some localities revealed very good agronomic performance for some traits. Positive and negative correlations existed among different morphological and agronomic traits. These findings indicate a number of useful traits in the gene pools and a wide range of phenotypic variation that provides a good source of diversity for their use in modern safflower breeding programs. The experiment was conducted at the research farms of the college of Agriculture, University of Duhok, Iraqi Kurdistan Region during the growing season 2015-16, consisting of three wheat varieties (Abu-Graib, Al-Rashid and Sham-6) cultivated under rainfed (RF) condition. The AquaCrop model was calibrated with experiment generated data sets of 2015-16. The results revealed that the maximum measured and model simulated production parameters were obtained from Sham-6 wheat variety; 4.540, 4.923, 10.735, 9.569 and 15.275, 14.492 ton/ha for the production parameters of grain yield, dry matter and biomass of the wheat varieties respectively. On the other hand, the minimum values of same parameters were obtained from Abu-Graib variety of wheat which were (3.418, 3.566), (6.982, 7.795) and (10.400, 11.361) ton/ha for both measured and simulated values excluding the simulated dry matter which was found by AL-Rashid wheat variety. It was also observed that the model predicted grain yield, dry matter, and biomass yield by AquaCrop model was with prediction error of 4.33%, 21.3% and 8.43%; for grain yield and dry matter of 11.64%, 17.47% and 10.86% for Abu-Griab, Al-Rashid and Sham-6 wheat varieties respectively. At the same time the model predicted error of biomass and it was noticed that the maximum percentage was obtained from Abu-Graib wheat variety which was 9.24% while the minimum value of error percentage found in Sham-6 variety was 5.10%. Moreover, relationships between the model simulated and observed grain yield, dry matter and biomass yield was observed that the R2 (coefficient of determination) for grain yield was 0.844, whereas R2 for dry matter and biomass were 0.561and 0.864 respectively. Water productivity of wheat varieties was observed that the highest crop water productivity for grain yield, dry matter and biomass was found by Sham-6 variety and for both measured and model simulated values, while the lowest values were obtained by Abu-Graib and Al-Rashid varieties. It was demonstrated that highest value of Harvest Index ( HI) was found in Sham-6 wheat variety for both measured and simulated values which were 0.297 and 0.340 respectively, whereas the lowest (HI) value was obtained from Abu-Graib variety and for both measured and model simulated during the wheat crop growth of 2015-16. Soil Moisture is a vital requirement for plant growth and its measurement with laboratory instruments is still limited to micro-geographic levels only. However, Satellite remote sensing happens to be efficient for macro scale measurements at regional levels. Soil Moisture depends on factors such as rainfall, temperature, rate of surface run-off and evapotranspiration. To develop a deeper and clearer insight into the interrelationship of these dependent factors, the Remote Sensing (RS) technology is being effectively employed in this study for assessing the seasonal and their inter-annual variations. A Standard NASA GES DISC product of Global Land Data Assimilation System (GLDAS) based on the mathematical algorithms of satellite model data has been employed for this investigation. The data pertaining to Pakistan and adjoining areas was collected for soil moisture, soil temperature, rainfall, surface run-off and total evapotranspiration over the year from January to December 2014 and quarterly from April to June, July to September and October to December. Composite and Seasonal maps as well as time series graphs were used throughout the process. Results for all variables clearly indicate that in high altitude areas, almost every variable has relatively higher values. It was concluded that spatial variations in soil moisture are quite reliant upon land cover types and the amount of precipitation (rainfall). A study was done to describe the soil characteristics and to determine the relationship between the soil properties of the forest reserve. A total of 25 plots were constructed and soil samples were collected from each plot of the study sites. A total of 1668 individual trees with diameter at breast height (DBH) of 5 cm and above were found in the 25 plots in Sungai Udang Forest Reserve, Malacca, Peninsular Malaysia. The overall floristic composition of the forest consists of 85 species belonging to 79 genera and 38 families. The soil in the studied area was acidic and dominated by clay loam which shows that the soil is suitable for the provision of nutrients to the plants. The correlation analysis between the physico-chemical characteristics of soil at all plots concluded that the correlation between the chemical content of soil in the area ranged from very weak to moderate. This is due to the fact that the strength of the correlation in this study for the absolute value of (r) ranged from as low as 0.007 (very weak) to 0.482 (moderate). Potential utilization of Ulva prolifera was studied on water-retention and slow-release material, cosmetics and food. U. prolifera was harvested from Rudong sea area. It was indicated that the hygroscopicity of algae powder was 98% of that in glycerin, and the moisturizing of algae ooze reduced to 95% of the initial value after 30 min. U. prolifera polysaccharide could alleviate ultraviolet damage to human skin fibroblasts, in which the cells proliferation percentage in experimental group was 32-36% higher than that in negative group. Thus it could be used as additive in skin cream. Furthermore, it was detected that every 100 g prolifera powder can provide 17% of energy and 85% of protein required by human body within a day, which has seasoning function in production of peanuts, melon seeds and potato chips. These results provide potential use for U. prolifera as water-retention and slow-release material, cosmetics and food. The expression changes of BFRUCT3, OMT, NHX1, PEAMT genes in root of barley genotypes; Clipper (sensitive), Sahara3771 (tolerant) and an Iranian advanced line (tolerant) were evaluated under 0, 100 and 200 mM NaCl at 24 hours, 3 days and 3 weeks after salt treatment. Expression of the genes was analyzed using Real-Time PCR Based on 2-ΔΔCT data obtaining from the comparison of different salinity treatments. Analysis of transcript level of BFRUCT3 gene revealed up-regulation of this gene in the salt tolerant genotypes with prolonging of salt treatment duration and increase of salinity level from 100 to 200 mM NaCl. Whereas, OMT gene showed up-regulation in all the three genotypes with increase of salinity level at the earlier stage of salt treatment. With increase of salt level to 200 mM NaCl, PEAMT gene showed up-regulation in the advanced line at the early time points (24h and 3 days) and in the Sahara3771 at the late time point (3 weeks) but in Clipper expression of this gene was down-regulated. Tuber dormancy of Jerusalem artichoke (Helianthus tuberosus L.) is an important factor hindering breeding progress and production as Jerusalem artichoke tubers do not germinate uniformly and environmental conditions greatly affect germination. Freshly-harvested tubers are normally used for planting of a subsequent crop, and low germination is a problem. The experiments were conducted in greenhouses at Khon Kaen University, Thailand and at Iowa State University, USA to explore other innovative methods to improve germination of Jerusalem artichoke seed tubers. The objective of this study was to determine the effects of Gibberellic acid (GA) on the dormancy of Jerusalem artichoke seed tubers. GA at all concentrations increased germination percentage, shoot length and shoot dry weight of seed tubers. All the varieties of Jerusalem artichoke germinated uniformly under various GA treatments between 4.5 and 8.0 days after planting. The highest rate of germination was noted for GA at a concentration of 1%. The non-LTR retrotransposons (retroposons) are abundant in plant genomes including members of Brassicaceae. Of the retroposons, long interspersed nuclear elements (LINEs) are more copious followed by short interspersed nuclear elements (SINEs) in sequenced eukaryotic genomes. The SINEs are short elements and ranged from 100-500 bps flanked by variable sized target site duplications, 5΄ tRNA region with polymerase III promoter, internal tRNA unrelated region, 3΄ LINEs derived region and a poly adenosine tail. Different computational approaches were used for the identification and characterization of SINEs, while PCR was used to detect the SINEs insertion polymorphisms in various Brassica genotypes. Ten previously unidentified families of SINEs were identified and characterized from Brassica genomes. The structural features of these SINEs were studied in detail, which showed typical SINE features displaying small sizes, target site duplications, head regions, internal regions (body) of variable sizes and a poly (A) tail at the 3΄ terminus. The elements from various families ranged from 206-558 bp, where BoSINE2 family displayed smallest SINE element (206 bp), while larger members belonged to BoSINE9 family (524-558 bp). The distribution and abundance of SINEs in various Brassica species and genotypes (40) at a particular site/locus were investigated by SINEs based PCR markers. Various SINE insertion polymorphisms were detected from different genotypes, where higher PCR bands amplified the SINE insertions, while lower bands amplified the pre-insertion sites (flanking regions). The analysis of Brassica SINEs copy numbers from 10 identified families revealed that around 860 and 1712 copies of SINEs were calculated from B. rapa and B. oleracea Whole-genome shotgun contigs (WGS) respectively. Analysis of insertion sites of Brassica SINEs revealed that the members from all 10 SINE families had shown an insertion preference in AT rich regions. The present analysis will be helpful in SINEs annotation in Brassica and their identification from related genera. The SINE based molecular markers will also assist to study the diversity among closely related genotypes and cultivars of various species. Rhododendron hybridum Hort. (Ericaceae) is an important ornamental species with striking continuous flowering features. However, few genomic resources are currently available for the species; thus, breeding programs are blocked by a lack of genetic information. Here, we document our transcriptomic profiling of four different R. hybridum tissues using whole transcriptome shotgun sequencing (RNA-Seq) to gain insight on functional genes, and to isolate expressed sequence tag-simple sequence repeat (EST-SSR) markers for breeding and conservation purposes. In total 38,050,296 high-quality sequence reads were obtained, and 56,120 unigenes (contiguous sequence assemblies representing transcripts, with N50 = 1,236 bp) were assembled. Of these, 32,580 (58.05%) and 8,788 (15.66%) were annotated to the GO and KEGG databases, respectively. Additionally, 38,775 (69.09%) and 37,409 (66.66%) of the R. hybridum unigenes aligned to the Arabidopsis thaliana and Oryza sativa genomes, respectively. A total of 21,103 SSR motifs were identified in 15,050 of the unigenes. Among them, dinucleotide repeats account for the largest proportion (49.27%), followed by mono- (35.94%) and trinucleotide repeats (21.5%). 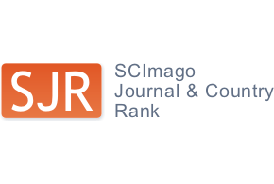 This is the first comprehensive transcriptome dataset for R. hybridum, and RNA-Seq technology is proven to be useful approach for EST-SSR development. Such a vast quantity of sequence data and microsatellite markers should prove to be robust tools for subsequent genomic research and breeding programs in R. hybridum and related species. The nature’s endowment of medicinal plants in successful management of diabetes necessitates their further exploration. Therefore, the present study was designed to comprehend ameliorating role of Brassica oleracea var. italic (BO) and Cassia absus (CA) in oxidative stress, hyperglycemia and indices of diabetic complications. Among all the extracts of BO and CA, aqueous extract was the most proficient in terms of extract recovery (9.0 and 10.2%) and DPPH radical scavenging efficiency (IC50 = 11.90 ± 1.70 and 8.26 ± 1.20 μg/ml) respectively. Maximum phenolic content [BO = 184.0 ± 0.17 and CA = 406.7 ± 0.08 μg gallic acid equivalent/mg extract (E)], flavonoid content (BO = 160.9 ± 0.1 and CA = 361.9 ± 0.09 μg quercetin equivalent/mg E) and total antioxidant capacity (BO = 223.7 ± 0.20 and CA = 257.2 ± 3.30 μg ascorbic acid equivalent/mg E) was recorded in their ethanol extract. Highest reducing power potential was quantified in BO ethanol and CA aqueous extractsas 427.9 ± 0.10 and 480.0 ± 2.10μg ascorbic acid equivalent/mg E respectively. Brine shrimp assay expounded petroleum ether extract of BO and CA to have some cytotoxicity (LC50 = 200± 2.3 and 86.6 ± 3.1 µg/ml respectively). In vivo studies established their aqueous extract as proficient in reducing the serum glucose (BO = 142.3 ± 7.10 and CA = 161.5 ± 4.40 mg/dl at day 21) as well as blood cholesterol, ALT and urea levels. Findings of the present study prospects BO and CA a useful treatment of diabetes and its escorting complications. Airborne pollen grains in the atmosphere are important aeroallergens that can lead to allergic diseases in susceptible people. The determination of pollen type and quantity not only presents botanists with valuable information about vegetation of the area under study, but also provides allergologists with tools for accurate diagnosis and proper medical treatment. An aerobiological survey was carried out in the atmosphere of the city of Shiraz, Iran, by means of a Hirst type volumetric sampler, from January 1st to December 31st 2012. A total of 12270 pollen grains belonging to 11 taxa were identified and recorded, of which 82.44% were tree or shrub, 7.24% herbaceous and 10.32% grass type. The majority of the investigated pollen grains were from Pinus sp., Buxus sp., Cupressaceae, Fraxinus sp. and Poaceae. The pollen count reached its highest levels in March and April, and its lowest levels in July and December. A correlation analysis was established between monthly pollen type and count, and some meteorological parameters. This aerobiological survey shows the existence of, and seasonal variation of different types of pollen grains in the atmosphere of Shiraz. The results of the survey may help allergologists with the diagnosis and treatment of airborne allergies due to pollen grains. This study highlighted the dynamics of stand parameters as well as root and leaf litter decomposition in the chronosequence (49, 32, 24 & 12 years old plantations established in the year 1965, 1982, 1990 and 2002) of the rubber plantation in Xishuangbanna SW China. Litter trappers were installed on the study site to collect the leaf litter and litter bag experiment was carried out to investigate the rate of root and leaf litter decomposition. The study revealed significant variation of stand characteristics during the decomposition process. The monthly litter fall and root biomass (all categories; kg m-3) showed positive correlation with stand characteristics and age. Remaining leaf litter mass % in the litter bags reduced with the passage of time and was significantly different in the chronosequence. The highest root decomposition rate (55%) was shown by fine roots and minimum (32%) by coarse roots during the study period. The investigations on elemental composition of the leaf and root provides basic important information for rate of nutrient cycle along with decomposition rate in rubber plantation and result are quite helpful for simulating the below ground carbon stock of rubber plantation in SW China. Thermostable cellulases are required for a variety of commercial processes. Bacillus is a house of thermostable proteins. Screening of indigenously isolated strains of bacteria revealed the promising production of cellulase by a strain, RT-17, at 50oC. The strain was identified on the basis of biochemical and molecular characteristics as B. licheniformis. The factors affecting cellulase production from B. licheniformis RT-17 were evaluated for their significant effect using Plackett Burman Design and were optimized by employing Box-Behnken Design. The model predicted 9.808 IU/ml of endoglucanase (EG) under optimum conditions of 50°C; 10% inoculum size; pH 5; and 1% peptone in fermentation medium. Practically, a titer of 9.128 IU/ml was obtained, showed the validity of the model. The enzyme preparation from B. licheniformis RT-17 was applied in combination with xylanase and pectinase preparations from indigenous yeasts for the hydrolysis of sugarcane bagasse (SCB). A higher degree of synergy (7.1 folds) was observed when yeast pectinase was used with bacterial cellulase for the hydrolysis of alkali treated SCB. Whereas, the degree of synergy was lower when bacterial cellulase was mixed with yeast xylanase. The study revealed the possibility of utilization of combination of yeast and bacterial enzymes for biomass saccharification. MicroRNAs (miRNAs) are small, non-coding and regulatory RNAs about ≈ 21 nucleotides in length. The miRNAs are reported in large number of higher eukaryotic plant species. But very little data of miRNAs in algae is available. Porphyridium cruentum is unicellular red alga famous as a source for polyunsaturated fatty acids, proteins and polysaccharide contents. The present study is aimed to update the microRNAs and their targets in this important algal species. A comparative genomics approach was applied to update the miRNAs in P. cruentum. This effort resulted in a total of 49 miRNAs belonging to 46 families in P. cruentum. Their precursor-miRNAs were observed with a range of 40 to 351 nucleotides (nt). The mature miRNA sequences showed a range of 17-24 nts. The minimum free energies by stem loop structures of these miRNAs are found with an average of -32 Kcalmol-1. A total of 13 targets, including important proteins like; Ribulose-1,5-bisphosphate carboxylase oxygenase, Light-harvesting complex I, Oxygen-evolving enhancer protein, Phycobiliproteins, Granule-bound starch synthase and Carbonic anhydrase were also predicted for these miRNAs. In the present study the anti-pseudomonal potential of crude methanolic extracts, hexane, ethyl acetate and water fractions of the leaves of Juglans regia L. and Otostegia limbata (Benth.) Boiss.against planktonic and biofilm form of clinical strains (P1, P2 and P3 strains) of Pseudomonas aeruginosa (P. aeruginosa) were evaluated. Agar well diffusion and minimum inhibitory concentration (MIC) assays were used against planktonic, whereas pellicle inhibition and static biofilm inhibition assays were performed against biofilm form of P. aeruginosa. In well diffusion assay, the crude methanolic extract of J. regia showed good bacterial inhibition than O. limbata. The J. regiacrude methanol extract had significant (+; complete breakage of pellicle layer), good (++; partial breakage of pellicle layer) and moderate (+++; uniformthin layer of pellicle formation) pellicle inhibition activity, while O. limbata had moderate (+++; uniformthin layer of pellicle formation) to weak (++++; loose thick layer pellicle formation) pellicle inhibition effect. In MIC assays, hexane and water fractions of J. regia had high (86 vs. 77%) antibacterial activity, while crude methanolic extract of O. limbata showed 51% inhibition against the most resistant P3 strain at 1000 µg/ml concentration. In static antibiofilm assay, hexane fraction of J. regia had high (63%) inhibition compared to crude methanolic extract of O. limbata(31%) against P3 strain. The present study highlights that J. regia extracts possesses high anti-pseudomonal properties as compared to O. limbata. 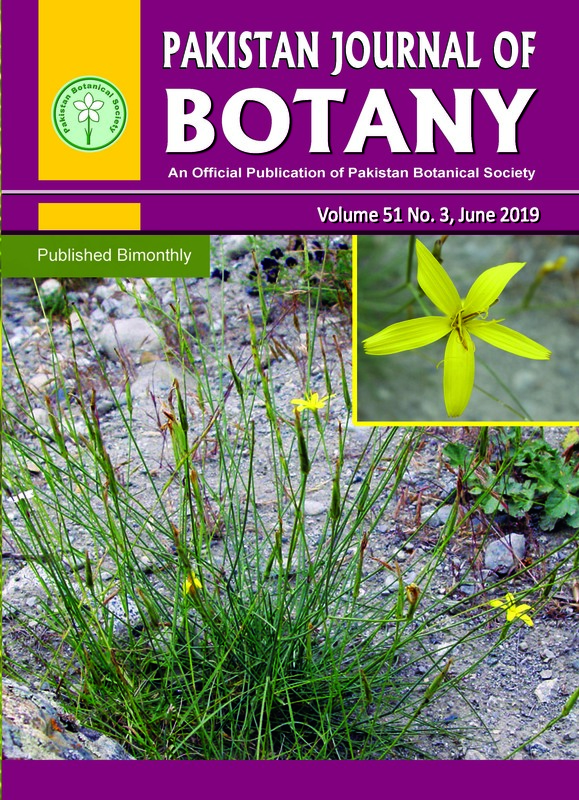 The present paper describes the taxonomy, distribution and phenology of five species of Oxytoxum and two species of Pyrophacus for the first time from two inshore localities of Karachi (Manora channel and Korangi creek) which are highly polluted and surrounded with mangroves. Simultaneous observations on temperature and salinity were taken to see their effect on their occurrence. They occurred preferably in southwest monsoon and fall inter-monsoon seasons characterized by relatively higher water temperatures.